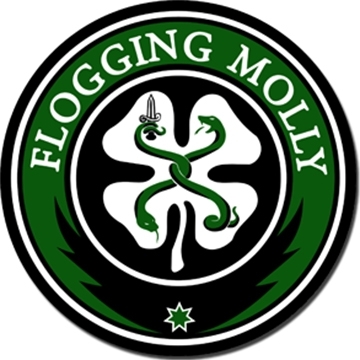 Irish-American seven-piece Celtic punk band Flogging Molly are from Los Angeles, California and led by Irish vocalist Dave King, formerly of the hard rock band Fastway. They are signed to their own record label, Borstal Beat Records. The infectious originality of their songs is a badge of honor and key to the band's creativity, their urgency. They infuse punk rock with Celtic instruments—violin, mandolin and the accordion—and they merge blues progressions with grinding guitars and traditional Irish music. "We're not a traditional band," explains Dublin-born frontman Dave King. "We are influenced by traditional music and inspired by it, but without question we put our own twist on it." Theirs is music of exile, rebellion, struggle and history. The band's only criteria for its music are simple and bone-deep: that it matter.